Officine Panerai updated its entry-level Radiomir models offering them with a new in-house movement while maintaining affordable pricing. The first model is the Radiomir Logo 3 Days PAM753 which takes its name from the the Panerai “OP” logo at 6 o’clock. It is matched to a light brown natural leather strap. 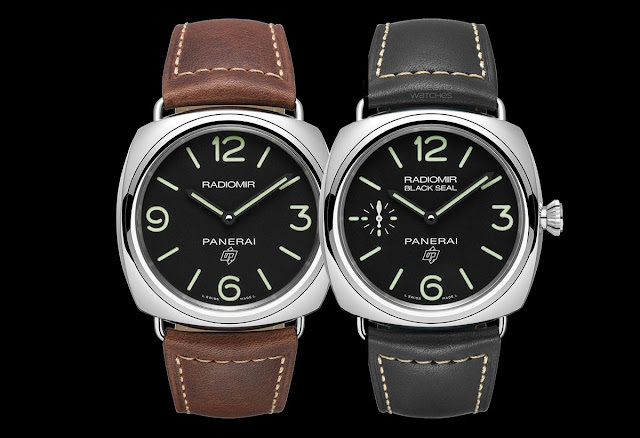 The second model is the Radiomir Black Seal Logo 3 Days PAM754, which differs for the small seconds counter at 9 o’clock and the dark brown leather strap. 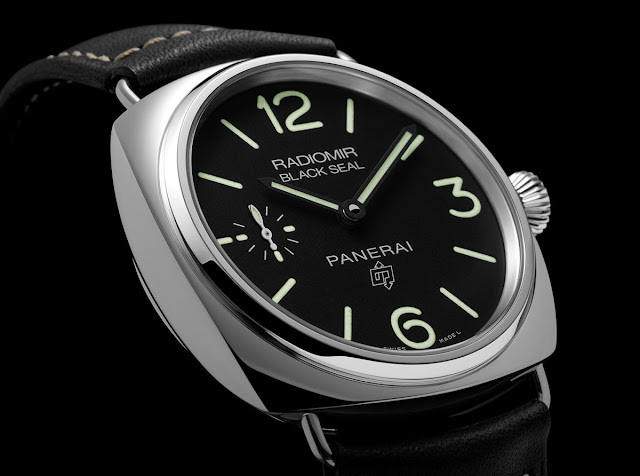 Both models are housed in 45 mm stainless steel cushion-shaped cases with solid screw-down backs and powered by Panerai’s in-house developed Calibre P.6000 which replaces the old Unitas-based OP XI movement. 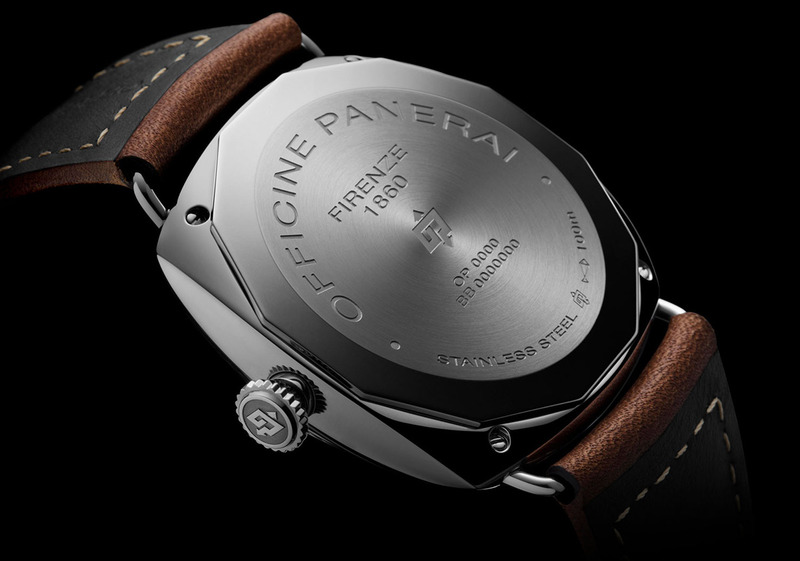 Beating at a frequency of 3 Hz (21,600 vibrations per hour), the new hand-wound movement offers a power reserve of 72 hours. 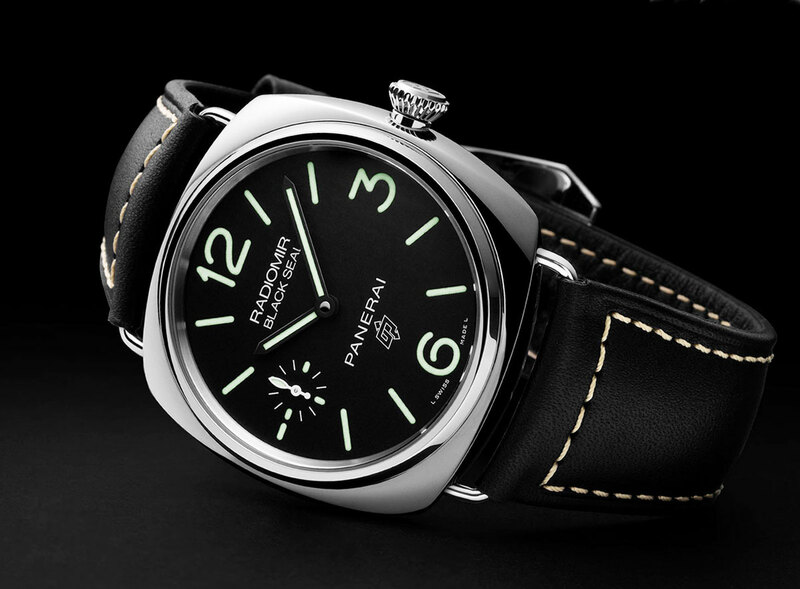 Panerai novelties 2018. 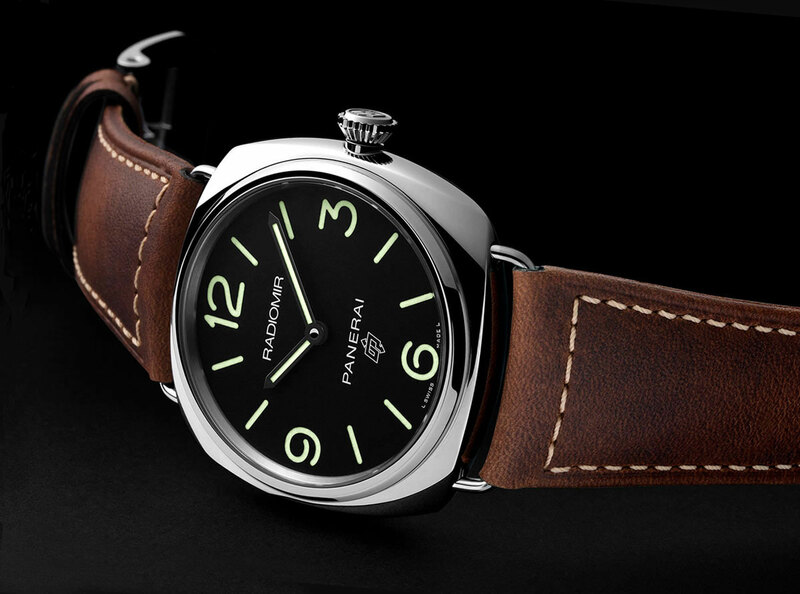 Officine Panerai updated its entry-level Radiomir models offering them with the new P.6000 in-house movement. Full specs and price.